Valentine’s Day is right around the corner and that means Fifty Shades of Grey will be opening in theaters. 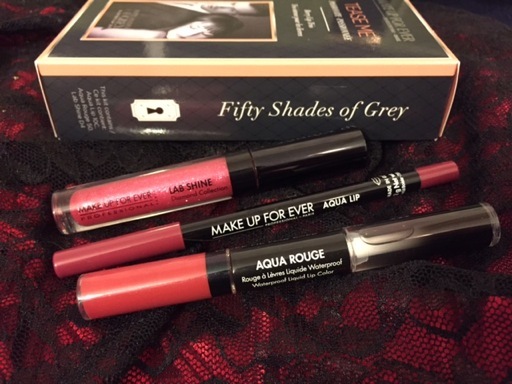 Now I’m not a huge Fifty Shades of Grey fan, but I did read the first book and couldn’t resist purchasing this set of Make Up For Ever lippies inspired by the movie. 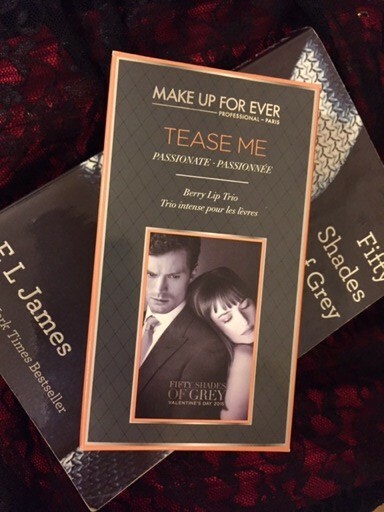 Believe me, you don’t have to be a Fifty Shades of Grey fan to purchase this set. It honestly is just a good value if you want to try Make Up For Ever lip products. The three lip products individually it would cost $62 and this set is only $32 on Sephora.com. I like the box the set comes in. It has a lock & key theme and fun details, even on the inside flap. 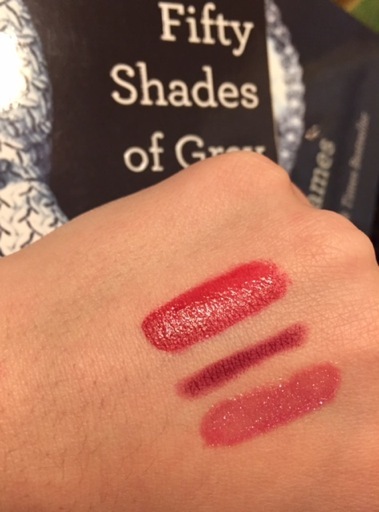 I bought the Tease Me set in “Passionate” which is a Berry Lip Trio. 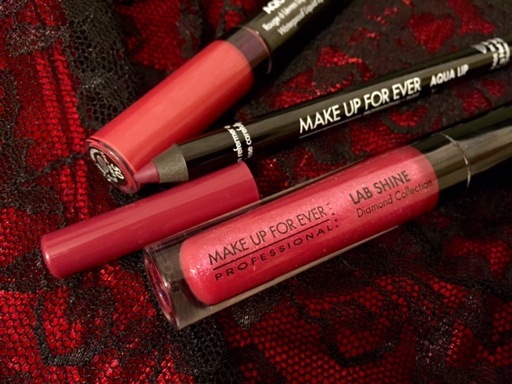 It contains Aqua Rouge in #50, Aqua Lip in 10C, and Lab Shine in D4. MUFE is also offering “Innocent” which features neutral shades of the same products. The sets are inspired by the movie and how Ana transforms from innocent college girl to sultry, passionate woman. 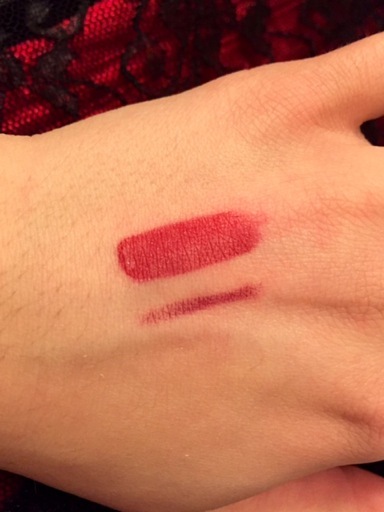 Since the Aqua Rouge and Aqua Lip liner claim to be waterproof, I wanted to include a photo of the swatches after I had washed and scrubbed my hand. You can see they held up fairly well. I managed to get about 5 hours of wear out of these. After eating, I did need to reapply. 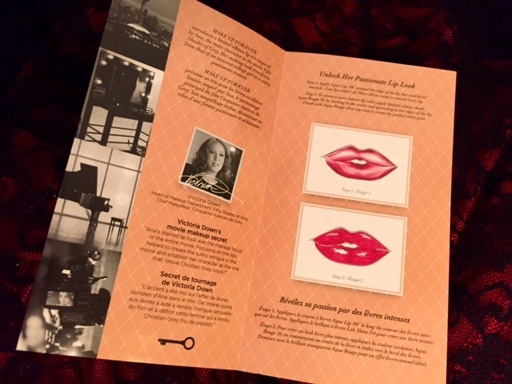 The Tease Me set also includes an “Unlock Her Passionate Lip Look” pamphlet that explains how to use the Limited Edition trio to achieve Ana’a look. I loved Grey’s character in the book, but found Ana’s character to be very annoying so I’m curious to see how the movie compares to the book. I’ll probably check it out, at least when it’s in Redbox or on Netflix. Did you like the book? Are you dying to see the movie? Comment below. Laters, baby. I can’t bring myself to buy or read this book….. agutohlh I have heard so much about it and I’ve been tempted. I’m a mother of three young girls (two of which are reading) and I try not to do, say or read anything that would make me feel ashamed if either of them saw or accidentally read something in it. I can’t cross that line….. say what you will.